Day 59 -- 21 December 2012 -- Happy Solstice! Antarctica is a very harsh continent with very little life. Food webs have to be very “creative” to adjust to conditions that have been compared to life on other planets or during the early Earth. We are using these special conditions to explore which microbes are the most successful at using nutrients and energy from volcanic rocks. Our aim is to improve our understanding of the Rock Bottom of the food chain. How can microbes make organic carbon by using inorganic components? And which microbes are the main players in utilizing chemical energy and nutrients from rocks and soils that are very poor in organic matter? 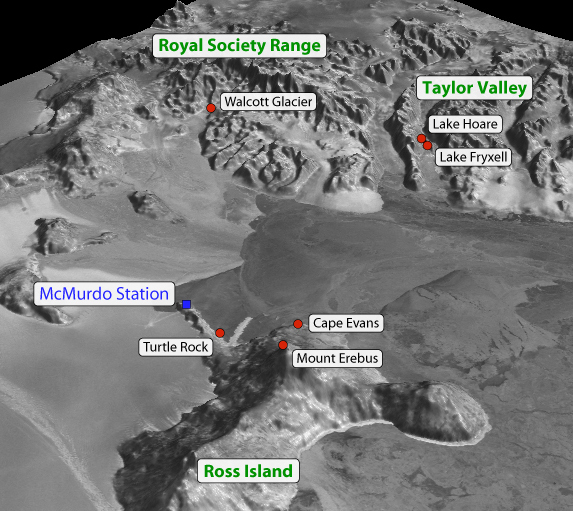 Our experiments will focus on the Extreme Environments of the McMurdo area around Ross Island, Antarctica. These will include some (ancient) lava flows and lakes in the Dry Valleys, the Royal Society Range, and on Mount Erebus. 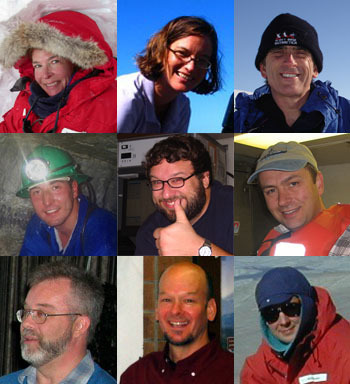 Our 2008-2009 Expedition focused on the choice and the deployment of experiments. During our 2010-2011 Expedition much of GOLF-439 will be focused on re-visiting these sites and systematically sampling them while concluding our two-year exposure experiments. Our final return in 2012-2013 will allow us to recover experiments that will have been exposed for four years. 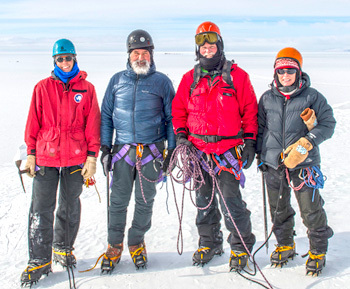 We are four scientists from the Scripps Institution of Oceanography, Oregon Health and Science University and the School of Marine Sciences at the University of Maine studying microbial life in extreme cold and dry environments. On this website we will provide you with regular updates of the GOLF439 Expedition to share our adventures, challenges and findings! We are the GOLF439 Home Team and will work on the microbial experiments and samples as they are retrieved from the extreme environment of Antarctica. We will provide you with reports from our lab results!